Eat Your Colors With @PlumOrganics! From birth on, there has been some really trusty organic baby food companies that have been there with me since the beginning of being a parent! One of those companies is Plum Organics! From birth to adolescent, Plum Organics has delicious, healthy and organic snacks and food for my children and my children are constantly begging for any Plum Organics snacks we have in the house! 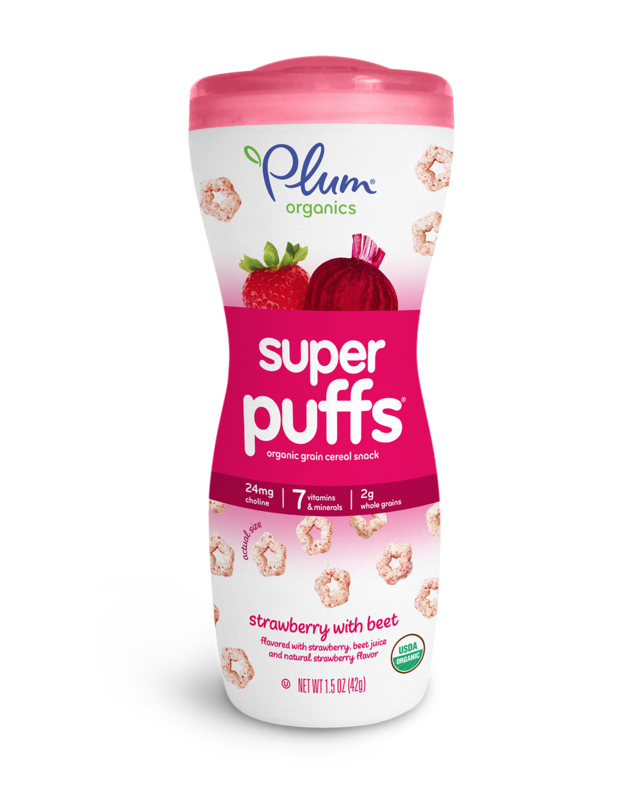 Plum Organics is a leading organic baby food and toddler snack brand in the nation. Building on the core values of “healthy eating for life” Plum Organics has created a line of culinary inspired baby foods in three stages that are gently cooked for optimal nutrition. From ingredient sourcing to packaging choices, Plum Organics is continually striving to reduce our carbon footprint and to ensure that our product line is pure and clean from the inside out. Plum Organics baby & tots snacks further build on these core values, by providing continued support with nutritious and simple solutions for on the go. We really love that they encourage children to eat their colors which means eating a variety of fruits and vegetables to get all the nutrition and vitamins they need! And they make it so easy with their fruit and vegetable pouches that even say colors on them to help parents offer a variety of colors to their children! They are easy to eat on the go, mix in oatmeal or have for snacks! And we also really love the Super Puffs®, a colorful line of bite-sized, nutritious puffed snacks, are made with whole grains and organic veggies and fruit. With 7 essential vitamins and minerals, Super Puffs® delight tiny taste buds with a rainbow of nutritional goodness. Perfectly sized for little fingers, this snack encourages self- feeding and easily dissolves into grins and giggles. Teach your little stars to eat their colors! We trust Plum Organics when we can't cook healthy, organic food ourselves for our children! We love that their snacks are easy to eat on the go, they offer a variety of foods that we might not find in season and they are organic, natural and healthy! You can purchase Plum Organics products at your local retailer.